Staff and volunteers at Martin Mere are celebrating after five Nene goslings recently hatched at the centre. Nene geese are a firm favourite with staff and visitors as they’re one of the most friendly species on site and will often feed directly from the hand, so the new arrivals are going to be a big hit with visitors. Nene (pronounced Nay Nay) Geese, also known as Hawaiian Geese, are the first WWT conservation success story. During the 1950s the Nene was close to extinction due to the introduction of predators in Hawaii and due to loss of its natural habitat, including the development of golf courses! With just 30 wild pairs left, WWT founder Sir Peter Scott began to successfully breed them in captivity and release them back into the wild, saving them from extinction, and the world population is now 2,500. 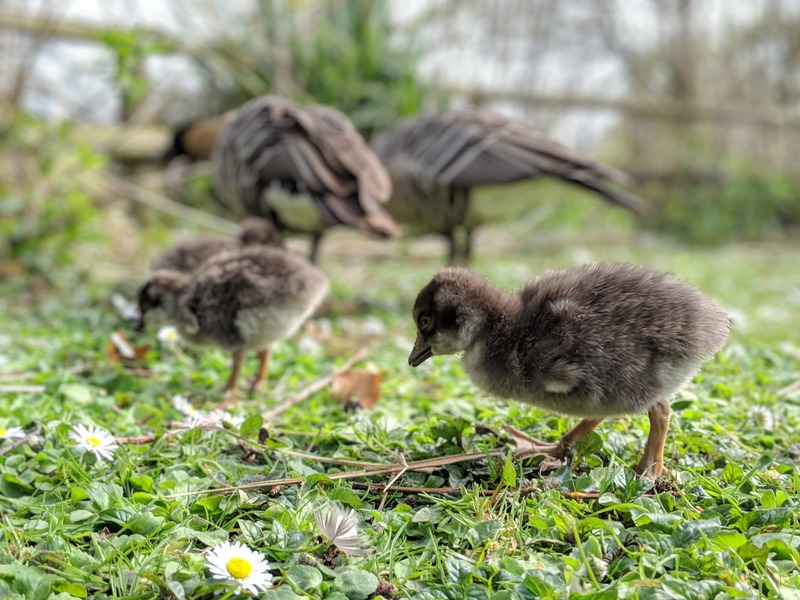 "We're thrilled to see the safe arrival of five Nene goslings. It starts the breeding season for us so we’re really excited to see what else will hatch over spring. Nene’s are an icon species, especially for WWT, so to have five hatch is just amazing." Visitors are invited to come and see the adorable goslings for themselves this Easter Half Term. As well as the new arrivals, we have our GIANT Easter Duck Trail for visitors to get involved with. 25 giant ducks have been hidden around our grounds and we need your help to find them all - who will be the top spotter in your family? As well as our Giant Easter Duck Trail, you can get creative with your family in our craft room. Buy a rubber duck, colour it in and then bring it back to the centre on Monday 6th May to enter it into our Annual Duck Race – it’s the only race that matters this Bank Holiday! Our brand new Pond Zone is now open, giving you the opportunity to uncover a whole world of underwater life, and our award-winning Canoe Safari has re-opened for the season. A trip to Martin Mere is a great day out for all the family and we have a wide range of activities to make sure you have an unforgettable day. From our all-star cast of flamingos, a family of otters, a muster of white storks and a pair of poisonous spur-winged geese, we’ve got a wide range of species at our Wetland Centre. You can find out more about these amazing animals in our daily species spotlight talks and feeds. For full details about Easter activities and upcoming events, visit our What's On page.